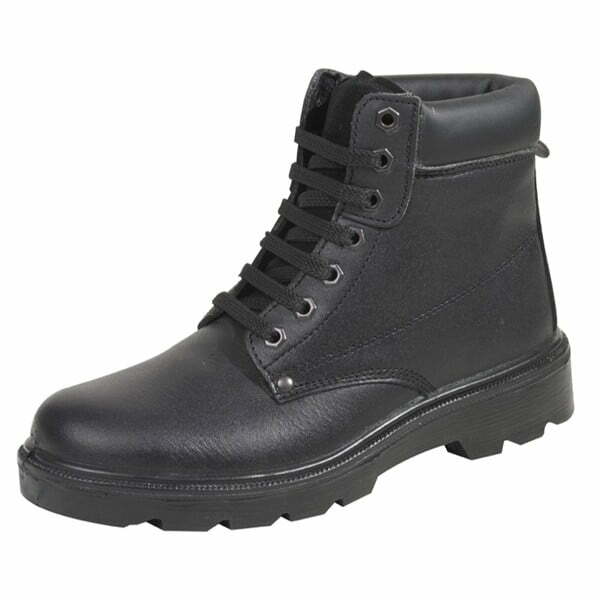 Mega strong men’s safety boots suitable for the harshest environments. 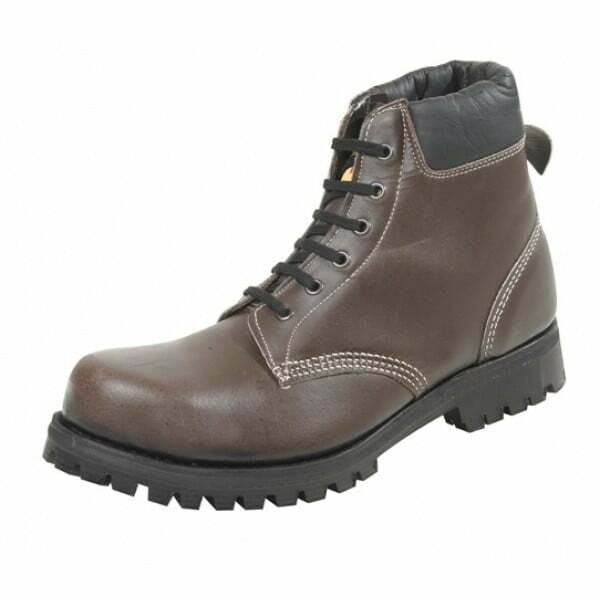 Padded ankle design made with brown waxy full grain leather. Features include protective steel toe caps, vegetable tanned leather insole and throughsole which mould to each individual foot and are extremely breathable. Heavy duty ‘commando’ type all terrain soles which are replaceable. Craftsman made safety footwear manufactured here in our Derbyshire Peak District Factory. 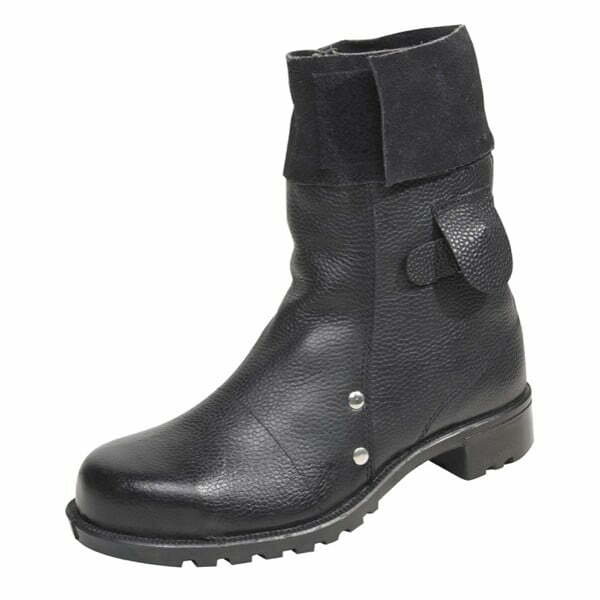 See a similar style with moulded rubber sole. I’ve had these boots for 2 years now and think they’re great. Always had problems in the past with work boots not being breathable enough but these are completely different my feet stay cool and comfortable all day. They took a little bedding in but very quickly became the most comfortable boots I’ve owned. Now after 2 years of near daily use they’re still in great condition and just getting more comfortable. Only issue I’ve had with them is the vibram soles seem to slip a bit on hard wet surfaces (I work in a garage on concrete floors) otherwise they are excellent very well made tough boots that really do last. Hope to buy more boots from you in the future thanks Ben. Thank you Ben for your feedback on the S40L boots. We appreciate you taking the time to let us know that after 2 years of wear your boots are still going strong and working hard for you. We look forward to hearing from you again in the future. Regards, Libs.